(Atrtur) "Rubenstein said that Gaisberg (Fred Gaisberg - recording pioneer and producer).. had taken him to lunch at the Gramaphone Company's headquarters... and had then sworn that if Rubenstein would make a test recording it would not be issued without the artists permission. Rubenstein agreed to try; Gaisberg led him to a recording studio, where a Blüthner piano awaited him. Rubenstein objected that the Blüthner instrument was not a full size concert grand, but Gaisberg persuaded him to try it. "Well, this Blüthner had the most beautiful singing tone I had ever found", he recalled. "Suddenly I became quite enthusiastic and decided to play my beloved Barcarolle of Chopin. The piano inspired me. I don't think I ever played better in my life. And then the miracle happened. They played it back to me and I must confess that I had tears in my eyes. Gaisberg had won". 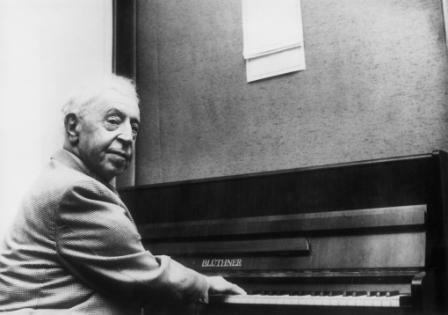 ...Rubensteins first test recordings were done twice that day - once on the Bluthner and once on a Steinway. .. at this second session, he used only the Bluthner piano." (which was not a full size concert grand, to which Rubenstein originally objected- Ed) Taken from TWO references "Rubentein: A life" by Harvey Sachs and My Many Years" by Artur Rubenstein. beatles Lennon "John Lennon" let it be" africa brits pretoria johannesburg joburg bluethner bluthner aliquot grotrian charis steinway steinweg haessler august forster irmler klavier bach beethoven brahms chopin liszt mozart rachmaninov rachmaninoff TSHWANE MADIBENG concert concerts rubenstein Petronel Malan Ulrich Urban Pletnev stool Katchen Kempff "modern times"